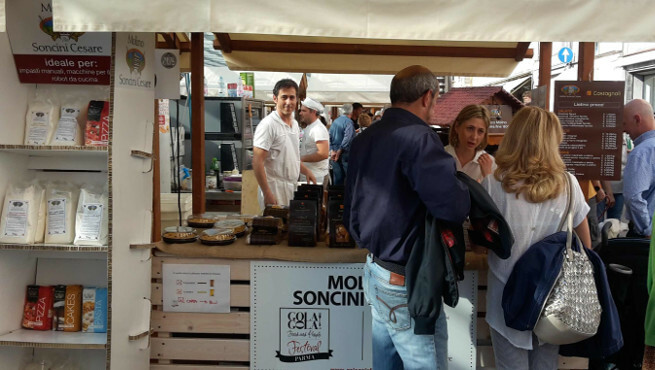 Molino Soncini Cesare is proud to have participated in the Gola Gola Food and People Street Festival, held in the centre of Parma from 10-12 June. Thanks to everyone who stopped by our stand during the three days of the festival, we hope you enjoyed our freshly-baked pizza, bread and focaccia. See you next year!